Come and see the archaeological artifacts that relate to the white God which the Mayas predicted would return. Come and see the archaeological artifacts that relate to the white God which the Mayas predicted would return. What to expect on this tour Explore the remnants of the long lost Ancient Mayan empire, including artifacts of the “White God” that the Maya predicted would return. This tour encapsulates the spiritualism of the Maya, with the thrill and excitement of a jungle river tour. 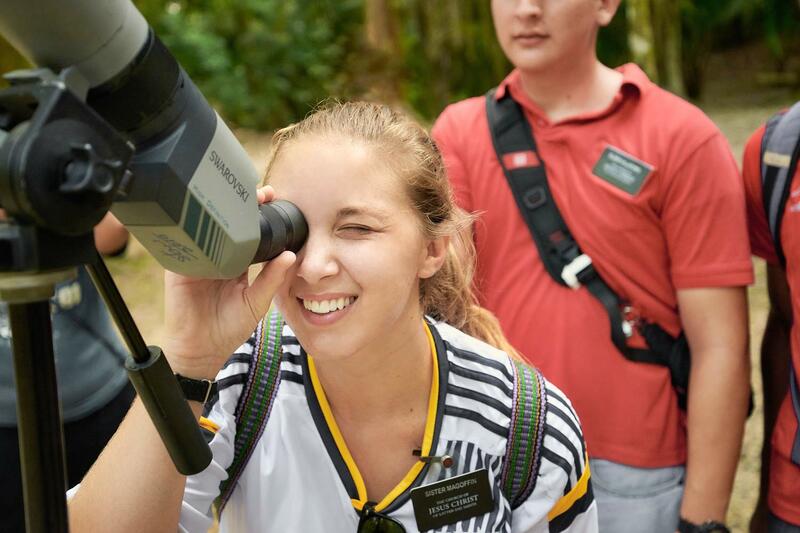 As the the only Latter-Day Saints tour providers in Belize, we offer an memorable--*and* educational, experience. This tour showcases the the relationship between Lamanai and the Nephites and Lamanites of the Book of Mormon. You will be amazed to see how the founding of this site coincides perfectly with what we learn in this sacred Book.